I want to thank you for being the most respectable, professional and caring medical team I have ever encountered. Every person in your office played a vital role in making me feel comfortable and cared for. I was referred to Dr. Brusonavik by a friend, Miki Davis, who knew I needed to see the best spine surgeon…and that is the exact direction she sent me. I have already had a previous spine operation at a different hospital in 2005, therefore I knew the importance of doing my research on the doctor as well as the staff. I did just that and was pleased right away. After visiting Dr. Brusovanik and showing him my CT scan, MRI and X-rays it was determined that I needed a minimally invasive surgery. Surgery was necessary to relieve the horrible pain that traveled down both arms into my hands as well as the continuous numbness. I had a total disc replacement with fusion on C6-C7 on February 17th, 2015 at Doctors Hospital. When I woke up from surgery I was smiling. The pain down my arms was gone! The feeling in my hands was back! And the pain from the surgery itself was very little. I was back to work in 10 days and back in the gym in less than 20 days. I have full mobility and couldn’t be happier. Let me take another minute to tell you about the amazing staff….INCREDIBLE! They knew me by name and treated me like family. And Daisy, I just adore her. She made sure that finances weren’t going to deter me from receiving the best care. I could go on and on and on….my advice to someone having any discomfort that restricts you from your daily life activities…don’t waist anymore time being uncomfortable! Take the next step and see the best team! The spinal disk provides cushion between the spinal bones (Vertebrae) as well as maintain the space between the vertebrae to allow for easy passage of spinal nerves. If a disk herniates, it may push on the nerve. Nerves come from the brain, pass through the spine and go out to the shoulders, arms and hands. If you compress or irritate a nerve along the way, you begin to fill symptoms in the direction of that nerve. For example, pain along the side of the forearm, thumb and index finger, is usually due to compression of the 6th cervical nerve. Neck pain is frequently a muscular spasm that occurs as our body tries to immobilize the painful spinal segment. Cervical RadiculopathyThis condition is an irritation or compression of one or more nerve roots in the cervical spine. Because these nerves travel to the shoulders, arms and hands, an injury in the cervical spine can cause symptoms in these areas. Cervical radiculopathy may result from a variety of problems with the bones and tissues of the cervical spinal column. If Pain becomes unbearable or if you develop Numbness or Weakness – Surgery can fix the problem and decompress the pinched nerve. A motion preserving surgery such Total disk replacement can relieve the pain without affecting other spinal levels. If medicines, therapy and injections fail to provide relief, a minimally invasive procedure is reasonable. Most importantly, if one notices loss of sensation involving both arms as well as a loss of balance, the situation is urgent. 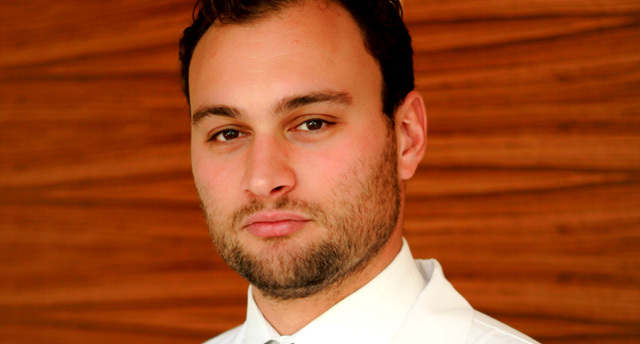 Dr. Brusovanik is trained in Dr. Bertagnoli’s classic techniques as well as the new minimally invasive approach. Please don’t hesitate and call 24/7. Cervical Transforaminal Epidural Steroid InjectionThis injection relieves pain in the neck, shoulders, and arms caused by a pinched nerve (or nerves) in the cervical spine. Conditions such as herniated discs, spinal stenosis, or radiculopathy can compress nerves, causing inflammation and pain. The medication injected helps decrease the swelling of nerves.